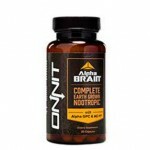 This supplement is manufactured by NeuroScience as a stress and fatigue fighter. AdreCore’s formula basically makes it a multivitamin – it is packed with Vitamin C, B12, B6, amino acids, and a blend of herbal goodness. 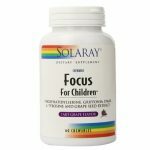 While Vitamin B6 and B12 are vital to brain function and can help to boost cellular metabolism and memory, the rest of the ingredients are a bit of a waste. Then again, AdreCore is not advertised as a powerful nootropic stack but rather a healthy brain supplement that supports our adrenal glands. Adrenal dysfunction is commonly associated with mental fatigue, increased anxiety and even loss of memory. This is why AdreCore aims to help our deteriorating symptoms by tackling the root of the problem. Since we are big fans of NeuroScience’s dedication of creating high-quality products, we are very excited to try AdreCore and experience the results for ourselves. Here at SmartPillGuide.org, we aim to move past our biases in order to provide our readers with information of value. In other words, we want you to finish reading this review feeling confident about the product you do or don’t want to buy. With that said, we will go over AdreCore’s ingredients, price, test results and other customer testimonials to give you the full ride. Let’s get started. 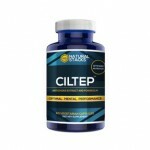 L-methionine, L-histidine, L-tyrosine, Green Tea leaf extract, and Rhodiola rosea root extract. Vitamin B6 and B12 – These two B vitamins make an excellent combination. Vitamin B6 targets our serotonin levels and makes sure that we don’t feel tired at the wrong time of the day. Meanwhile Vitamin B12 helps boost cellular metabolism and mental energy. The result? Fresher minds with greater energy levels. 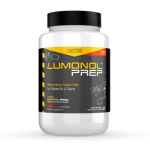 L-Tyrosine – This is probably AdreCore’s main ingredient. It works by increasing the levels of catecholamine hormones, which are epinephrine and norepinephrine. These hormones are responsible for signaling our body to be more alert and aware of our surroundings. Levels of catecholamine hormones are dramatically spiked during “flight or fight” or life threatening situations; as a result, our bodies are physiologically more ready to take action and prevent harm. By including L-Tyrosine in AdreCore, the supplement will be able to increase mental energy, get rid of brain dog and significantly boost alertness. This would be great for productivity and motivation. Green Tea – This powerful herb has been used for centuries as a natural healer. Green tea is a both a great detox herb and the perfect anxiety reliever. During recent years, however, scientists have brought to attention that green tea helps to boost short-term memory. Clinical studies have been conducted in the University of Basel, Switzerland and show that participants who were given 27.5 g of green tea extract performed better on memory tests. 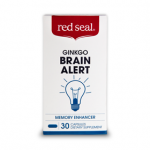 Although the exact mechanisms are not completely understood yet, the facts are there to prove that this wonder-herb can work as a memory booster. Rhodiola rosea root extract – This root extract works hand in hand with L-Tyrosine to spike up levels of epinephrine and norepinephrine. Overall, we are actually quite impressed with AdreCore’s mix of ingredients. 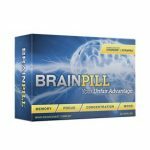 It is clear that the manufacturers have taken the time to figure out which formula will work effectively to boost brainpower in a safe manner. By primarily targeting the adrenal glands, AdreCore is ensuring that our hormone levels are balanced. And keep in mind that hormones affect pretty much everything in our bodies from the condition of our skin to the strength of our memory. The only thing that we would’ve liked to see from AdreCore is a full disclosure of the doses. Three members of our team were lucky enough to receive and be able to experiment with a bottle of AdreCore. The test was planned for 6 weeks, but one of our testers ended up being hooked to the product and continues to use it until this day. During the first two weeks of trials, we found that the results were not as significant as we hoped to be. Although there were some signs of greater energy levels and reduced stress, we may have been overanalyzing. But we remained hopeful and still gave AdreCore a chance to impress us. By the end of the 4th week, stars began to appear in the dark sky. All three of our members reported feeling “better overall”. They were less lethargic, were more motivated to come to work and were even able to sleep better. 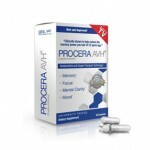 While our personal experience with AdreCor went relatively well, the reviews available online are slightly controversial. Take a look at what we found on Amazon.com. We did not see any major side effects from our trials here are SmartPillGuide.org. That being said, however, please be aware that side effects such as headaches and nausea are still possible. 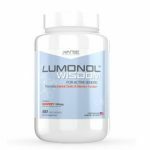 Particularly if you have suffered from hormonal imbalance issues in the past, we recommend that you visit your physician and ask about this product before use. A bottle with 60 capsules costs $34.00 on Amazon.com. 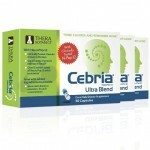 The recommended dose is 2 capsules per day so the bottle will last you an entire month. This is a pretty good deal considering that each pill contains a great mixture of ingredients. 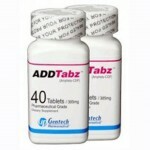 – May lead to side effects such as skin breakouts, mood swings, headaches, nausea, etc. We feel like AdreCore could either work really well for you or just another flush of money down the toilet drain. 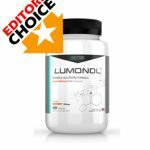 What makes this product unique from other nootropic supplements is that it works by targeting our adrenal gland and hormone levels. 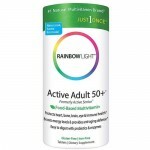 For those of us who are not sensitive to hormonal imbalances then this product could do you wonders. 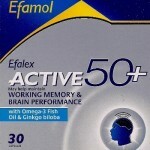 Its formula includes L-Tyrosine to promote mental alertness and Green tea extract to reduce anxiety levels. Say hello to more relaxing and motivating days ahead!